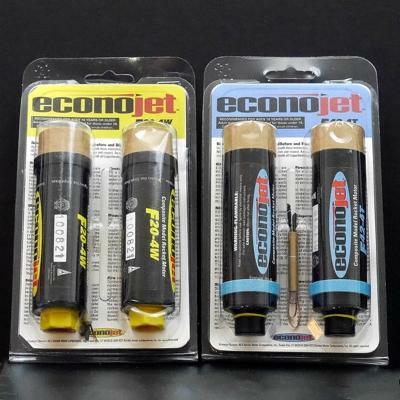 "Econojet", 24mm in diameter x 70mm long. Total impulse 41.46 Newton-seconds. Fits inside T-50 size tube or equivalent. Comes with Igniters. Two per pack, made by Aerotech.